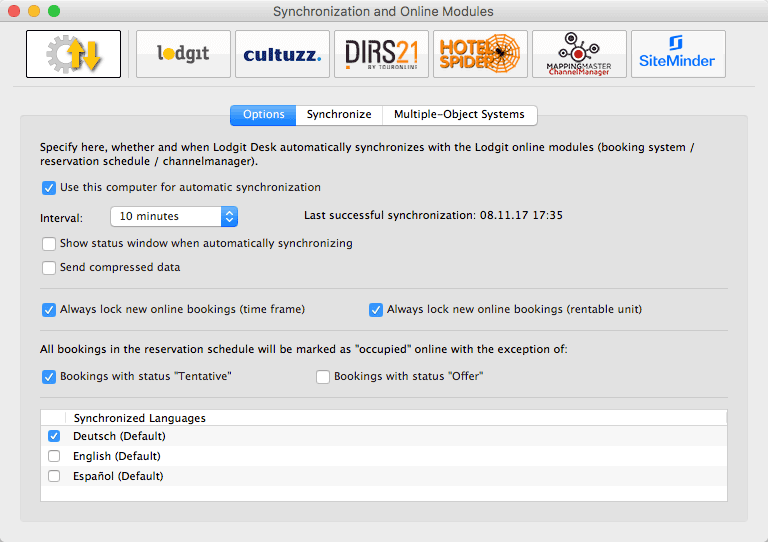 After you have added the categories or units in HotelSpider, you can now assign them to the appropriate units in Lodgit Desk. 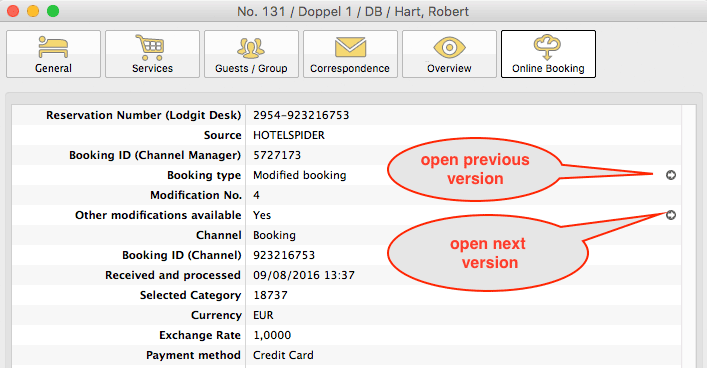 Enter your Hotel-Spider ID and hotel name into the fields and select the version of the interface you are using (usually the latest version). 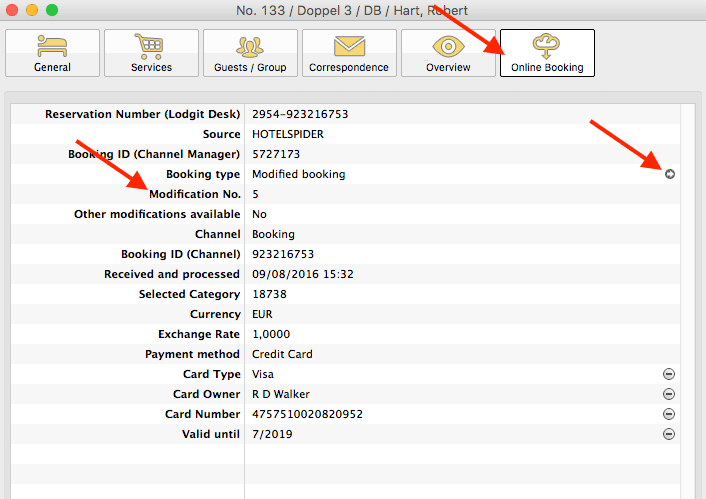 Then press the button Load Hotel-Spider IDs. 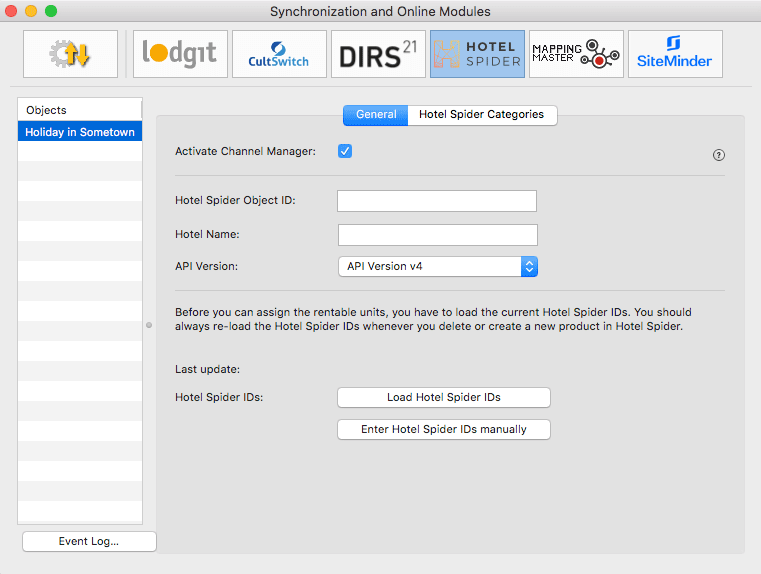 If this should not work properly (if you are unable to select any HotelSpider categories in the next step) you can also enter the HotelSpider IDs manually by clicking the respective button and filling out the table. 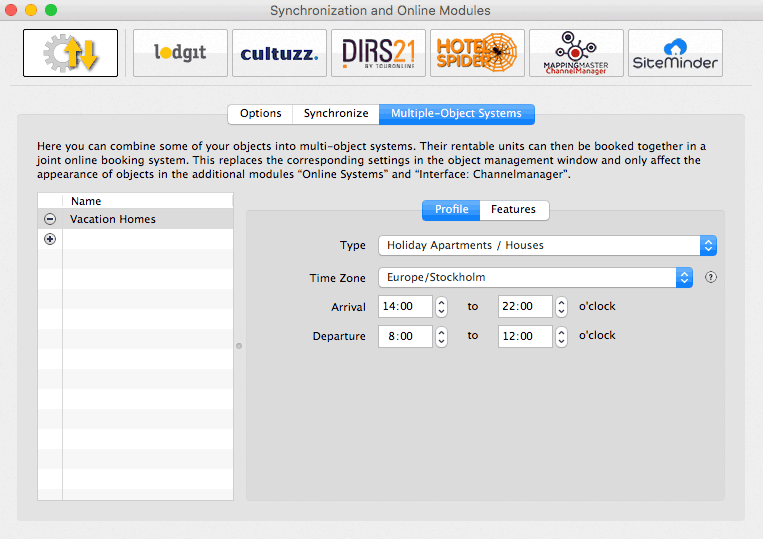 Then, switch to the tab Hotel-Spider Categories. In the left column you’ll find your units or unit categories, depending on which mode you’ve selected. 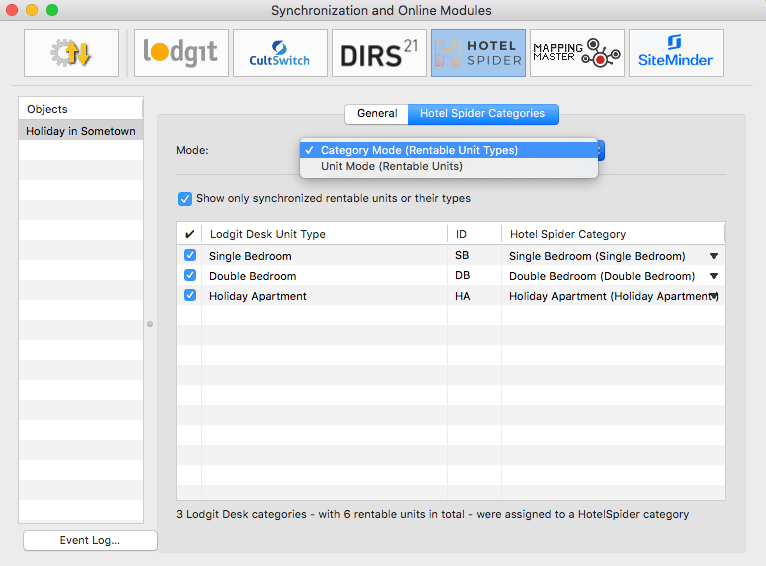 In the right column you can choose which Hotel-Spider category corresponds to which rentable unit or category in Lodgit Desk. With that, you’ve already finished the basic setup. Return to the tab General. Check the box that says Activate Channel Manager. 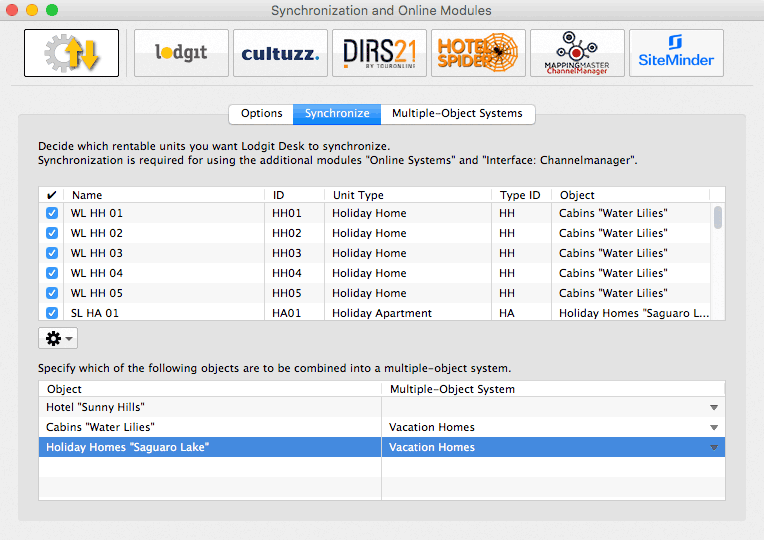 Test the connection by going to File > Synchronize. This will send your current availabilities of all selected units to the server and you can make sure the availabilities are listed correctly in the backend of the channel manager. Please note: Due to server sync schedules, it may take a few (up to 15) minutes before the changes are displayed in Hotel-Spider.